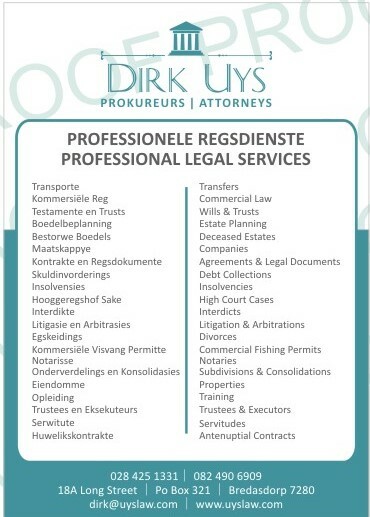 We service the following courts: All High Courts of South Africa. 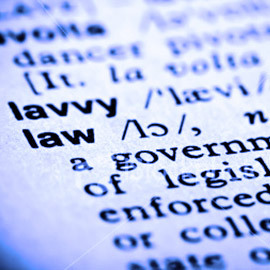 We specialize in providing no-nonsense commercial law and litigation services. We are also experts in Credit Law, Corporate Law, Landlord Tenant Law and Repossessions. We have been specializing in all aspects of commercial and business law for 22 years. Dirk Uys has appeared on National TV with the NCR to explain the National Credit Act to consumers. He has also attended to various legal audits of documents for banks, particularly in regard to credit agreement documentation. We know the law regarding Insolvencies, Business Rescue and Debt Review very well because of our involvement in this aspect of law for so many years. We also register all sorts of notarial contracts, for instance ante-nuptial contracts, long term leases, servitudes, usufructs, notarial bonds over movable goods and over livestock, harvests etc. We have vast experience in estate planning, drafting of Wills, and winding up of deceased estates. We also have an excellent history in the successful drafting of all kinds of agreements, it does not matter whether it is a straight forward standard agreement or a very complex agreement, and we can assist you with this. We have very successfully litigated in all the High Courts of South Africa on behalf of 3 major banks for many years. We have even litigated in, and taken matters on Appeal to the Supreme Court of Appeal, Bloemfontein on behalf of clients as well, with great success. Our staff is well trained to render and excellent service when attending to a property transfer on your behalf. Again we have vast experience in the field of Property Transfers and Bond Registrations. We can even sell your property at a much lower commission rate than most Estate Agents, and as attorneys who hold a Fidelity Fund Certificate we are exempt from registering with the Estate Agents Affairs Board.